The world’s first horse-drawn omnibuses (“carrosses à cinq sols”) enter service in Paris, although they are taken out of service again after just a few years. 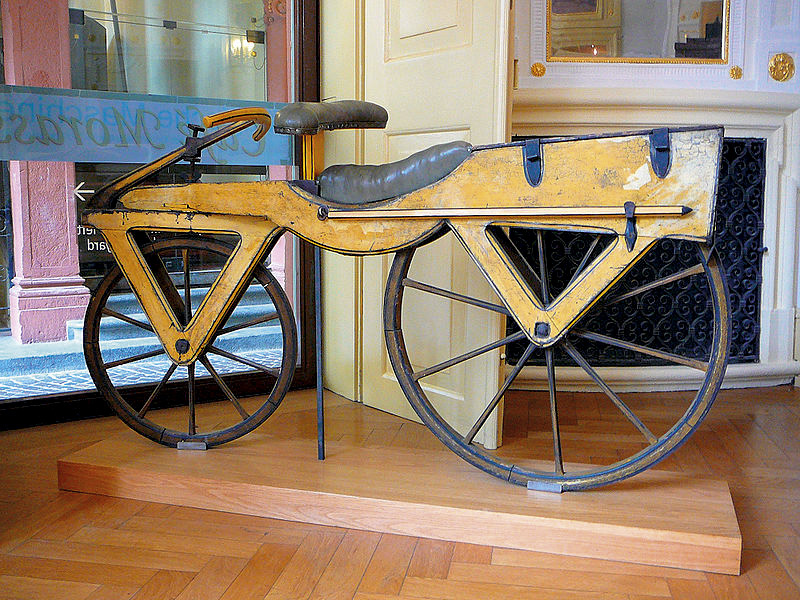 Draisine, also known as ‘running machine’ (Fig. From approx. 1820). It was invented by the German Baron Karl von Drais in Mannheim in 1817. Being the first means of transport to make use of the two-wheeler principle, the Laufmaschine is regarded as the archetype of the bicycle. Draisine, also known as ‘running machine’, is regarded as the archetype of the bicycle. The first horse-drawn streetcar enters service in Europe between Montbrison and Montrond in France. Opening ot the first underground in the world in London. Installation of the first traffic light system in the world in London. It was operated by gaslight and exploded after just a short time. Commissioning of the first electric street lighting in Germany in Nuremberg. 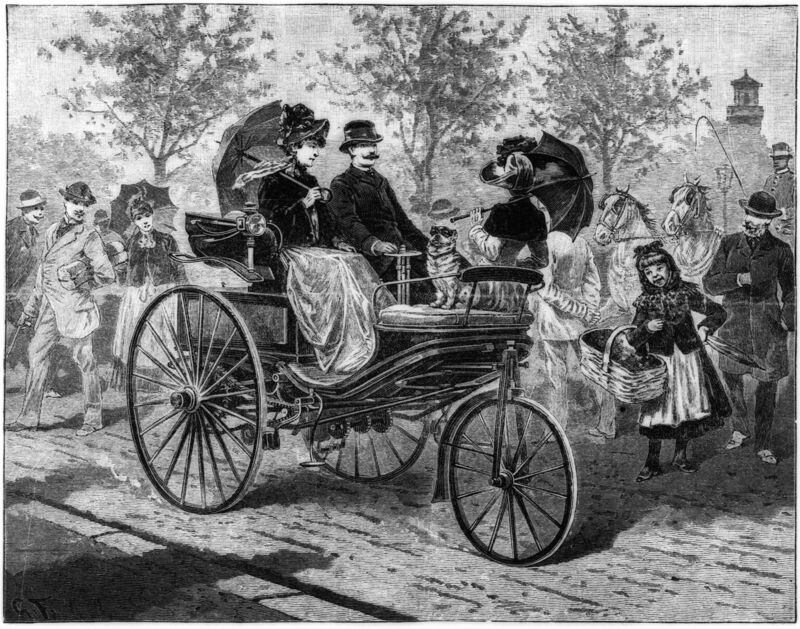 The German inventor Carl Benz files the “Benz Patent-Motorwagen Number 1”, heralding the age of the modern internal combustion engine automobile. 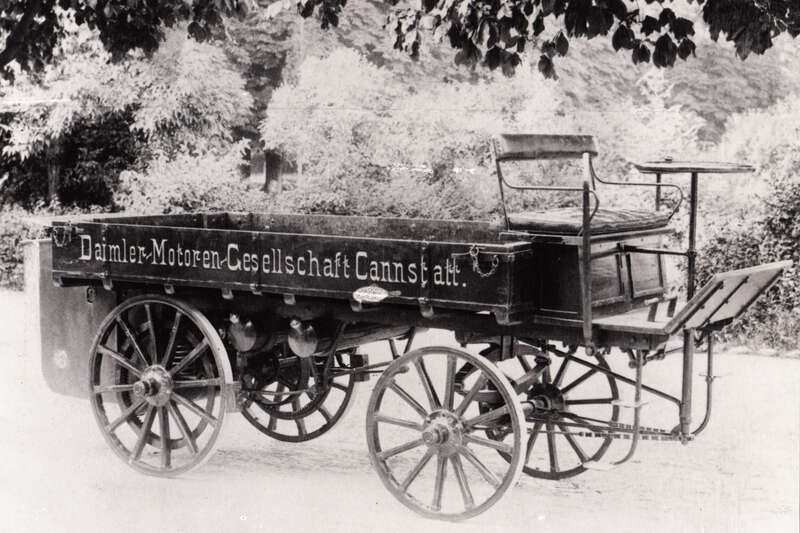 "Benz Patent-Motorwagen Number 1" the first car with combustion engine. J.B. Dunlop pneumatic tyre (re-invention). Advertisement for the first mass-produced motorcycle in the world. 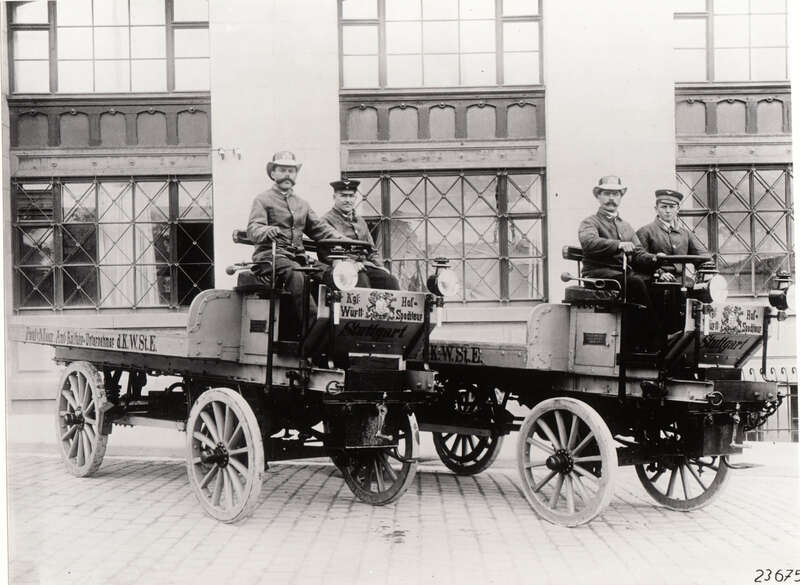 First regular service in Germany with a fuel-driven bus between Siegen and Netphen. Opening of the Paris Metro on the occasion of the World Exhibition. 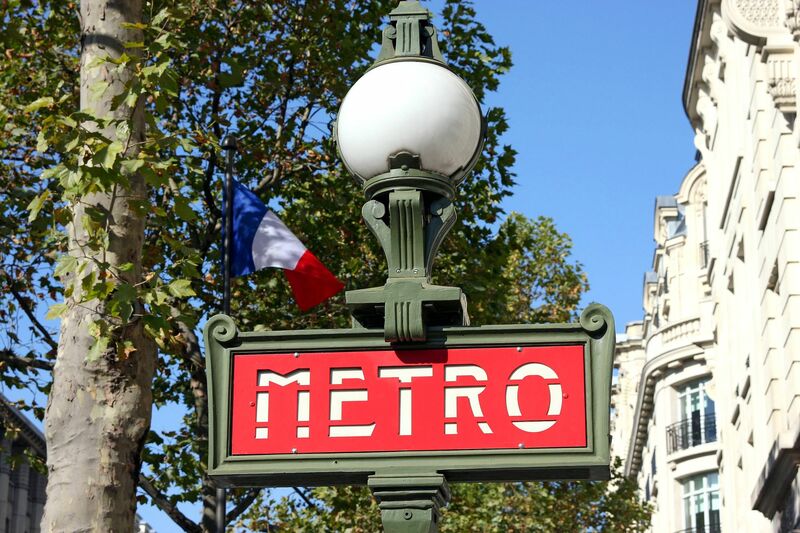 The Paris Métro opened in 1900. The German inventor Otto Schulze develops the eddy-current tachometer for road vehicles and has it patented in Berlin. Automobile manufacturers install speedometers as standard from 1910. The Brit Frederick W. Lanchester invents the disc brake and applies for a patent. In Offenbach, Germany, segregated cycle facilities are constructed along the “Offenbacher Alleenring”. It is the oldest existing cycle path in Germany. The oldest cycle path in Germany is the Offenbacher Alleenring with a structurally separated cycle path system, which was constructed in 1907. 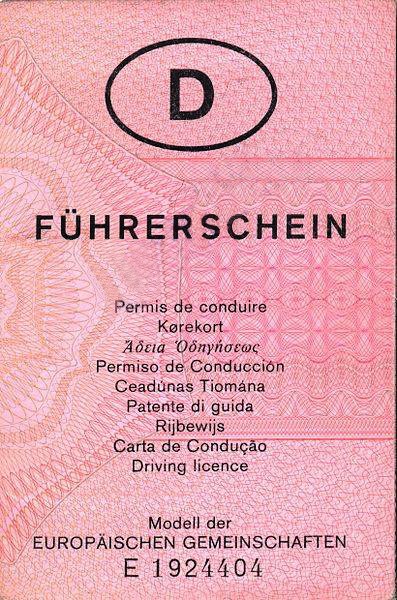 In the then German Reich a single driving licence is introduced, which is valid for the entire country (German Motor Vehicles Act). 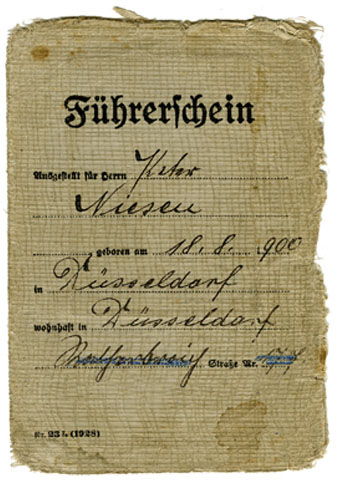 In the then German Reich a single driving licence is introduced. Invention of lane markings to separate lanes. The first electric traffic signal with red and green lights is installed in Salt Lake City, Utah. The traffic light installation, which was erected on 5th August 1914 in Cleveland, USA, is the first regular traffic light in the world. The first automatic traffic signal is patented in the USA and the first traffic control tower is erected at an intersection in Detroit. The first traffic control tower is erected at an intersection in Detroit. Installation of the world’s first threecoloured traffic light systems in Detroit and New York. The Duesenberg Model A is the first vehicle with hydraulic brakes. Engineers working for the Radio Air Service at the McCook aviation experimentation station in Dayton, Ohio, unveil to the public the first driverless, radio-controlled car. The first road markings in the small English town of Sutton Coldfield to remove an accident black spot. Installation of Germany’s first threecoloured traffic light system in Hamburg. Installation of Europe’s first threecoloured traffic light systems in Paris. Chain drive triumphs over belt drive. Accident statistics are published for the first time in the UK. The League of Nations in Geneva adopts the Convention on the Standardisation of Road Signs. It is ratified by 18 countries, but not by Germany. Europe’s first pedestrian light is installed in Copenhagen, Denmark. Pedestrian lights do not appear in Germany until 1937 (Berlin). 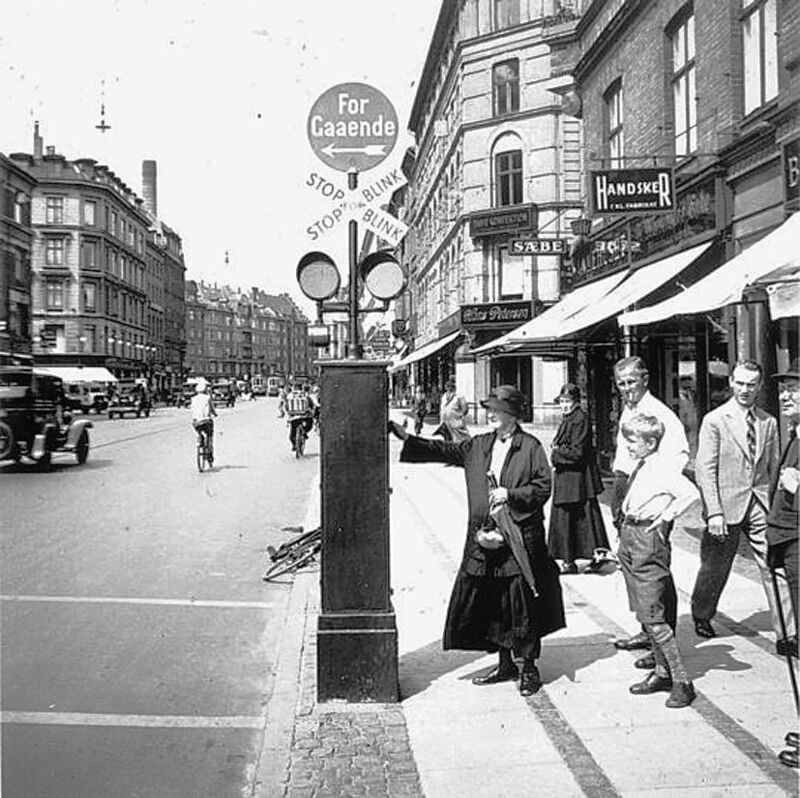 Europe´s first pedestrian light in Copenhagen. Invention of the road reflector (cat’s eye) by the Brit Percy Shaw. 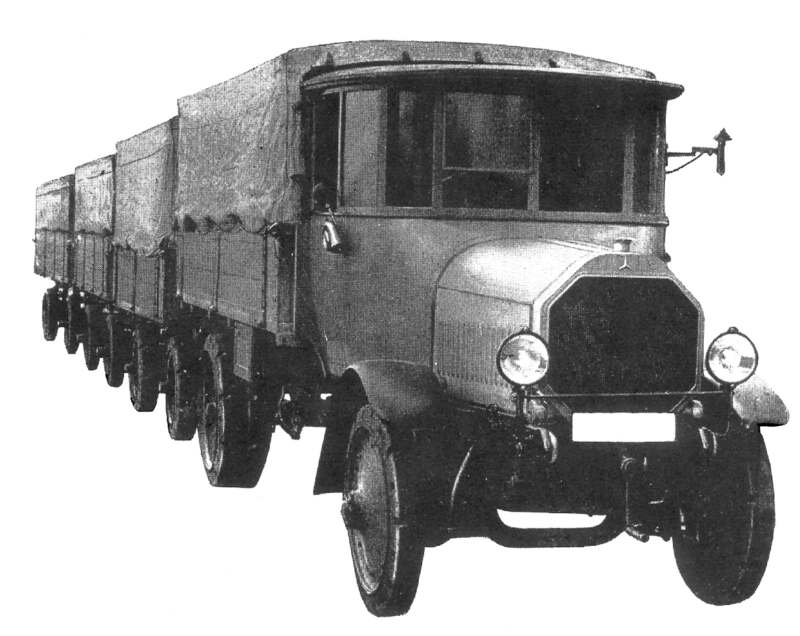 The Berlinbased manufacturer Gaubschat unveils a passenger road train with corridor connection. Installation of Europe’s first pedestrian lights in Berlin. In May, the US magazine “Popular Science” publishes the first ever report on automated traffic of the future. It presents a vision of a world in which all cars follow electric cables that are buried beneath the pavements of superhighways and emit electromagnetic impulses that control the speed and direction of travel. 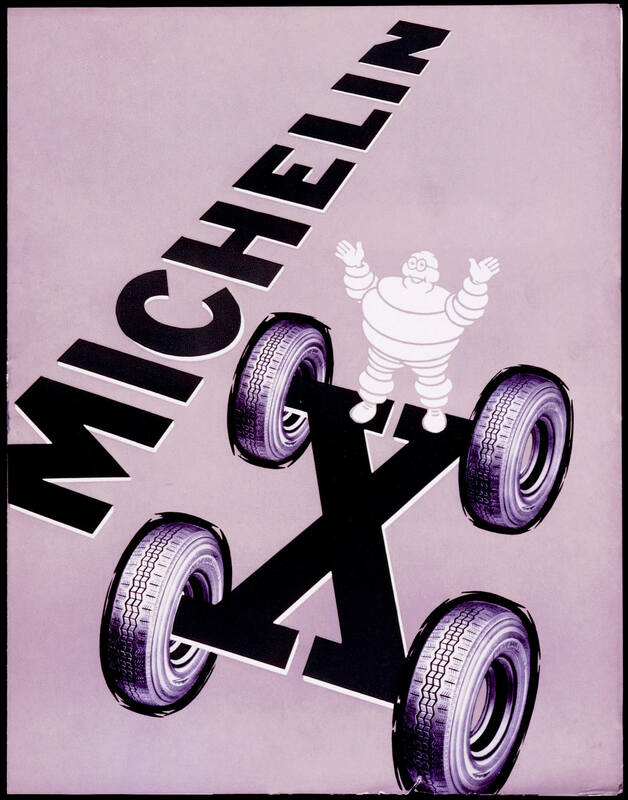 The French tyre manufacturer Michelin patents the first radial tyre which is presented under the brand name Michelin-X in 1949. Tyre manufacturer Michelin patens the first radial tyre. Colonel John Paul Stapp carries out the first self-experiments at the Muroc test site in the US-American Mojave desert as part of the ”deceleration project" conducted by him where he exposes himself to several decelerations on a rocket sled until he reaches his breaking point. First road markings with broken white lines in London. The pedestrian crossing or zebra crossing appears internationally for the first time in the Geneva Protocol on road traffic signs. The zebra crossing appears for the first time in the Geneva Protocol on road traffic signs. 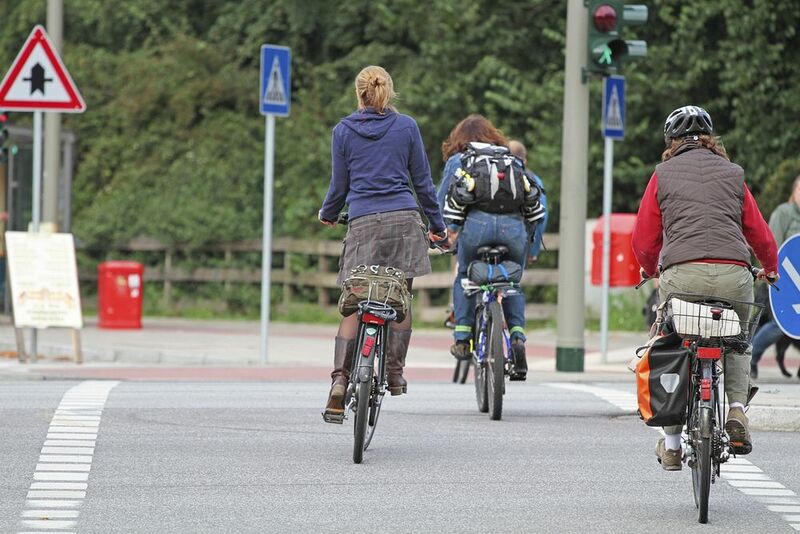 Germany implements its first accident prevention measures. Introduction of the main inspection (HU) for motor vehicles. The aim of the HU is to ensure that the proportion of vehicles with safety deficiencies on Germany’s roads is as low as possible. In collaboration with Indiana State Police, accident researchers led by engineer Hugh de Haven start conducting detailed analyses of car accidents in the USA. 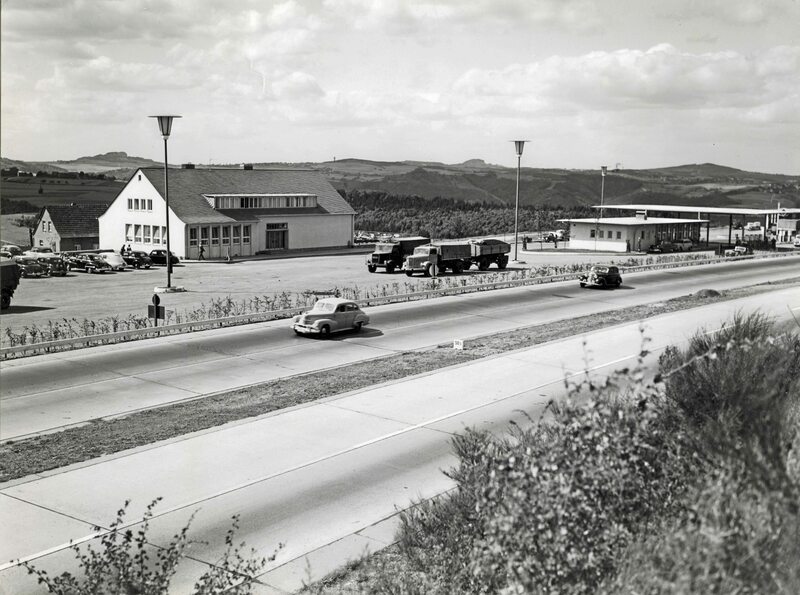 The Bundesanstalt für Straßenbau (BASt) is founded; it is renamed in 1965 as the Bundesanstalt für Straßenwesen (German Federal Highway Research Institute). 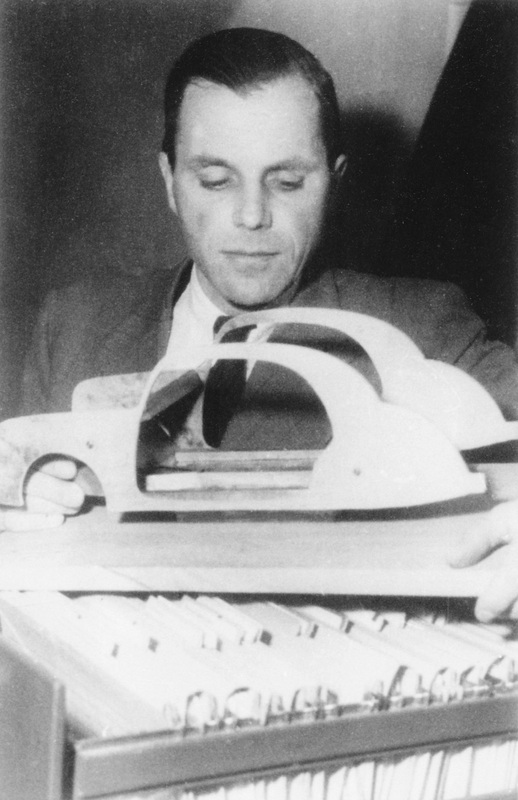 The Hungarian Béla Barényi applies for a patent for his concept of a "rigid passenger cell with front and rear crumple zones". 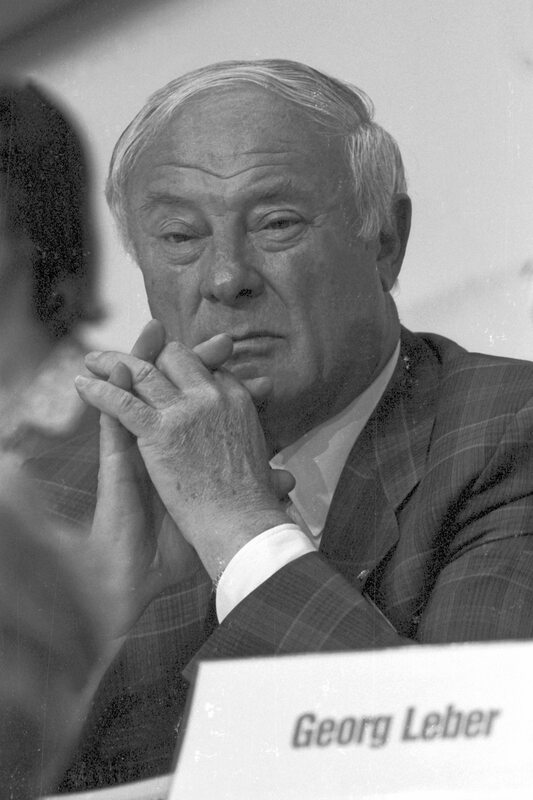 Béla Barényi and his concept of a "rigid passenger cell with front and rear crumple". Kässbohrer Fahrzeugwerke unveils the first modern articulated bus with a wide corridor between the front and rear carriage. 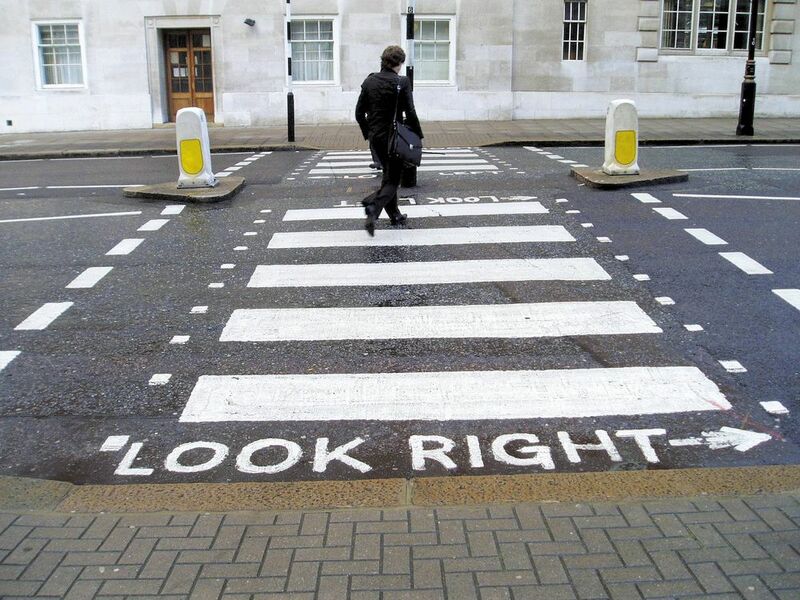 The first zebra crossings are marked out in Germany. In Germany legislation introduces the pedestrian crossing nationally for the first time in Section 26 of the road traffic regulations. 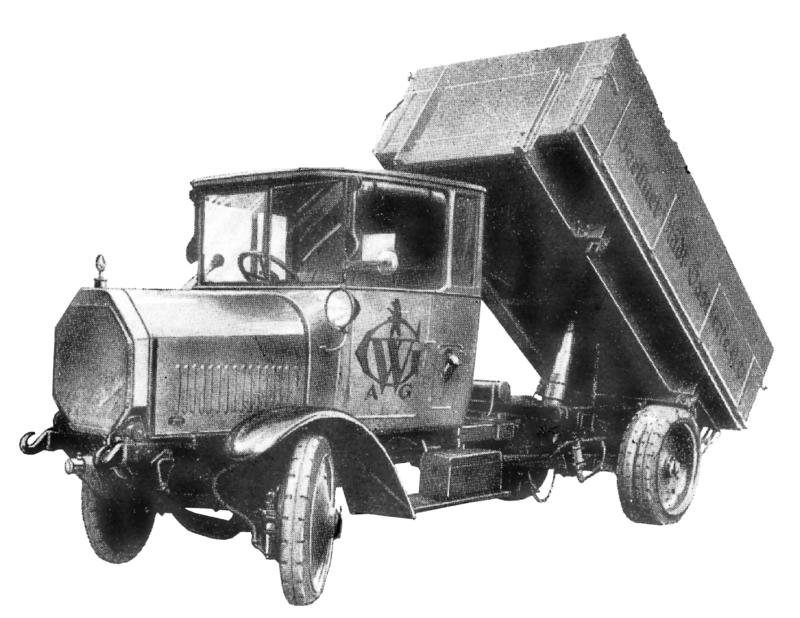 Advertising poster for the Zündapp KS 601 ("Green Elephant"). 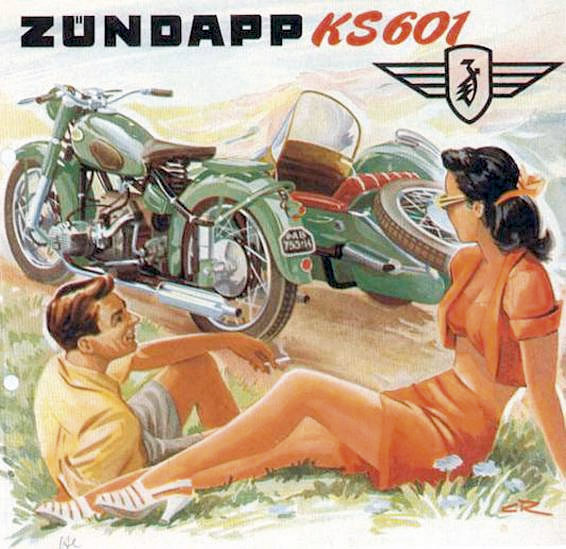 Advertising poster for the Zündapp KS 601. 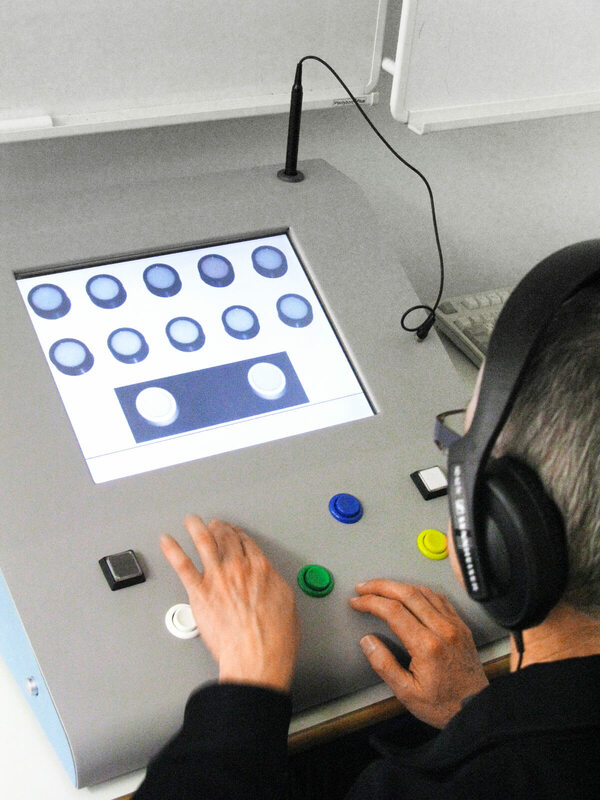 The medical-psychological examination (MPU) of aptitude to drive is introduced in Germany. The world’s first mobile traffic radar unit is deployed for speed monitoring. A 50 km/h speed limit in built-up areas is introduced in Germany. 50 km/h speed limit in built-up areas. The central index of traffic offenders in Flensburg begins its work. 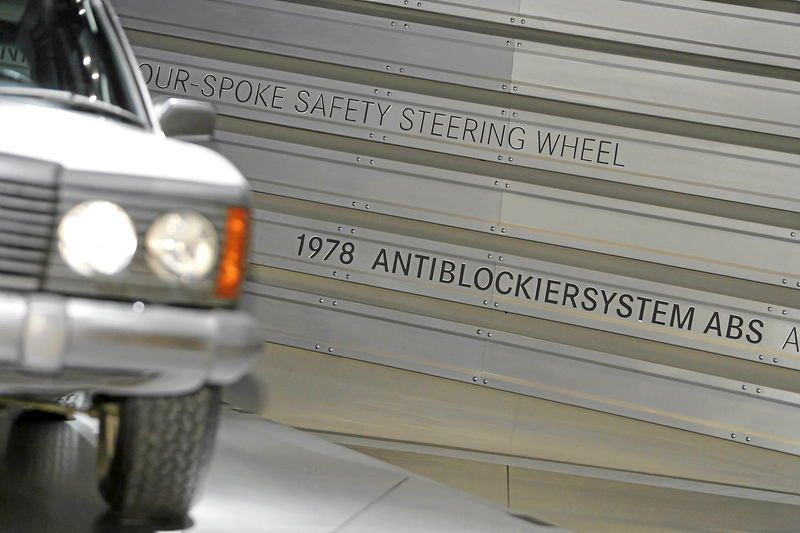 Mercedes-Benz launches the first car with a safety passenger cell on the market with the Mercedes 220 S/SE (W111). The Volvo engineer Nils Ivar Bolin files a patent for the three-point safety belt. Volvo engineer files a patent for the three-point safety belt. 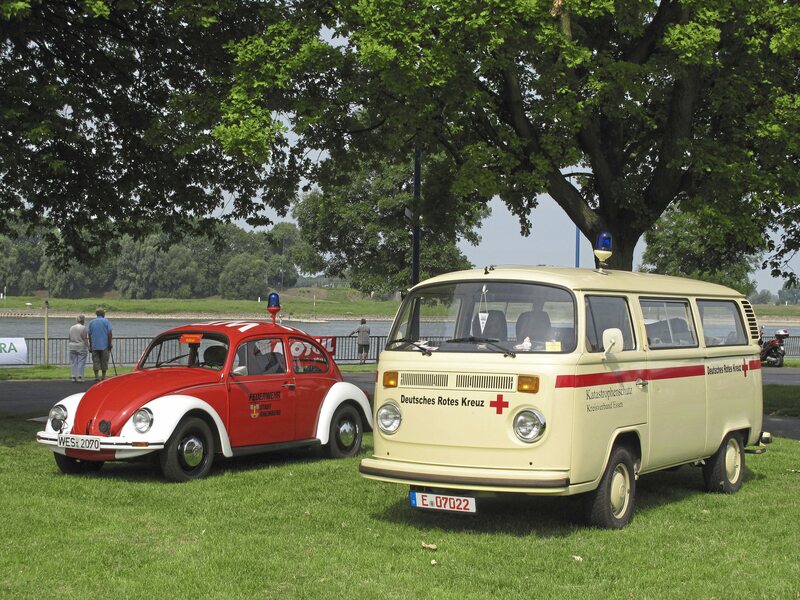 A coordinated rescue service is introduced in Germany. First coordinated rescue service in Germany. The inspection sticker is introduced as proof that a main inspection has been carried out. 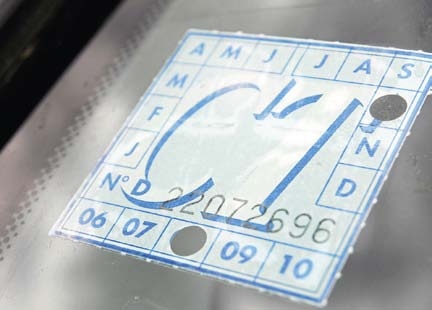 The inspection sticker is introduced. 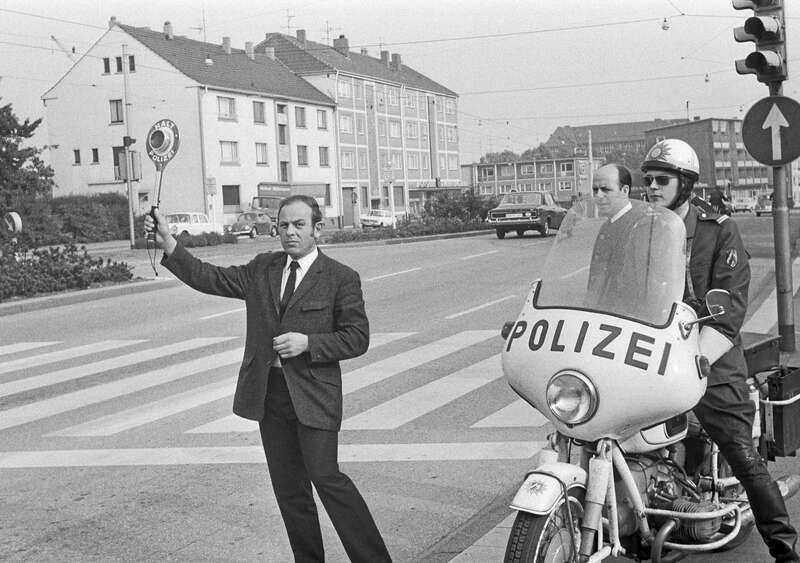 In the GDR the traffic psychologist Karl Peglau invents the red-green pedestrian lights together with the traffic-light man. Béla Barényi applies for a patent for the "safety steering shaft for vehicles" developed by him. Béla Barényi applies for a patent for the "safety steering shaft for vehicles". Luigi Locati writes a summary of vehicle safety in which the distinction was made for the first time between active safety [sicurrezza attiva] and passive safety [sicurezza passiva]. 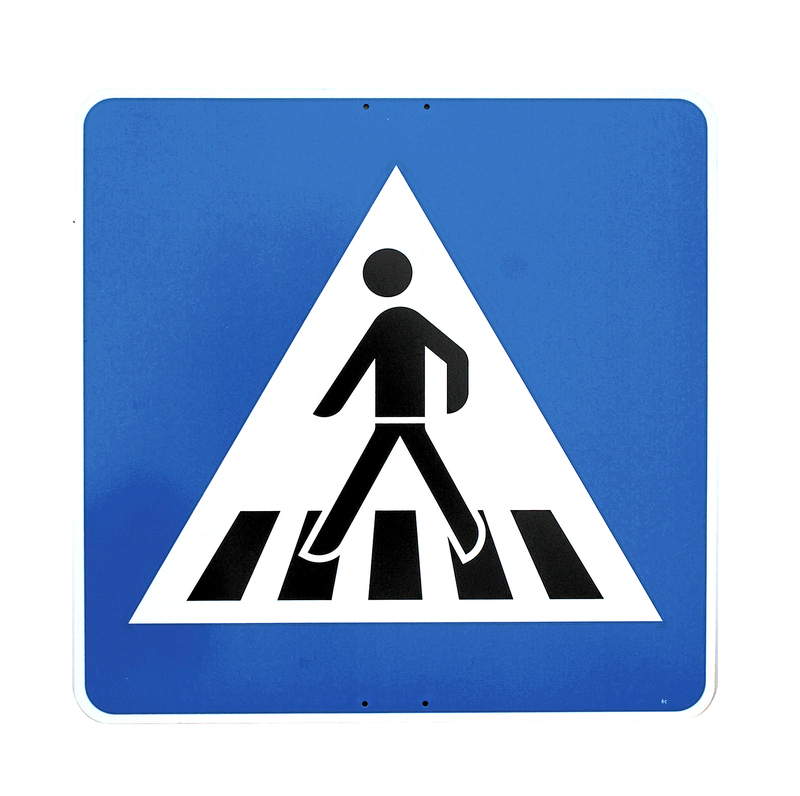 Priority for pedestrians on zebra crossings is introduced into the German Road Traffic Act on 1st June 1964. One of the first zebra crossing in Germany. The consumer advocate Ralph Nader publishes his book “Unsafe at Any Speed” and draws attention to glaring safety faults in US-American vehicles back then. 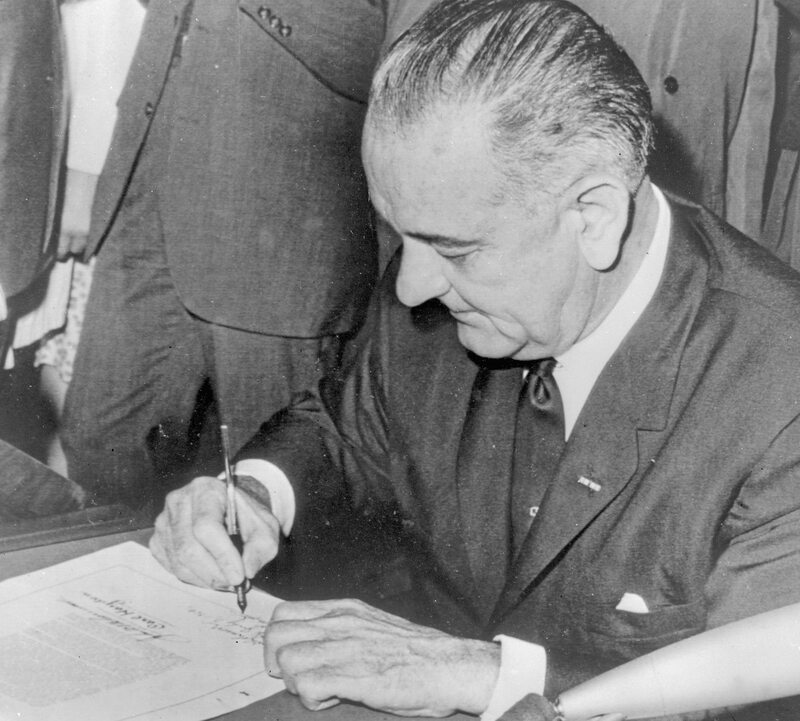 US President Lyndon B. Johnson signs the National Traffic and Motor Vehicle Safety Act and the Highway Safety Act. On February 1, the German TV broadcaster ARD starts broadcasting the series “Der 7. Sinn” [The 7th Sense]. Once a week, in a prime-time slot just before the main news, aspects relating to road safety, rules of conduct and tips for car drivers and adult road users are presented are vividly presented. The last episode, for the time being, is broadcast in December 2005. First mechanical ABS (Jensen FF with Dunlop Maxaret ABS). The “Leber Plan”, named for Minister of Transport Georg Leber, introduces the mandatory wearing of safety belts in Germany, although this is not introduced in practice until, in 1974, it becomes mandatory for all new cars and light-duty trucks to be equipped with safety belts and, later, in 1984, fines are introduced for the non-wearing of mandatory safety belts on the front seats of cars. The International Conventions on Road Traffic and on Road Signs and Signals are signed in Vienna. In London, the Victoria Line enters service as the world’s first fully automatic, computer-controlled underground railway line. The US Department of Transportation launches a programme to develop experimental security vehicles and initiates the international Technical Conference on the Enhanced Safety of Vehicles (ESV). Today, the conference takes place every two years. 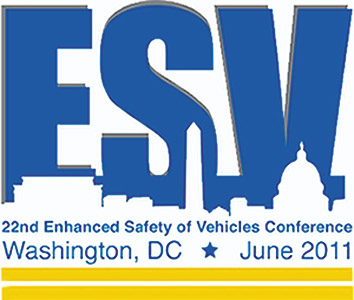 International Technical Conference on the Enhanced Safety of Vehicles (ESV). 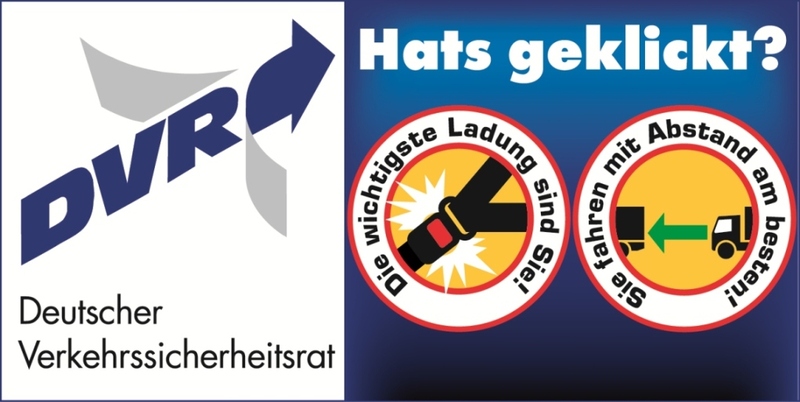 The German Road Safety Council (DVR) is founded. 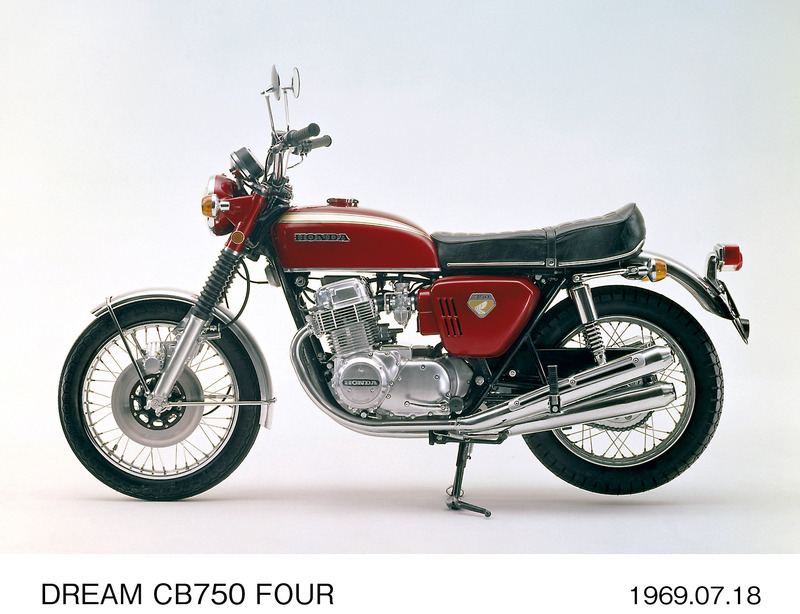 First mass-produced motorcycle with disk brakes (Honda CB 750 Four). First mass-produced motorcycle with disk brakes. The “European Enhanced Vehicle-Safety Committee” (EEVC), which focuses on preregulatory research, is founded as a European counterpart to the US ESV program. The EEVC developed, for example, the testing and inspection procedure for occupant protection in front and side collisions and the component tests for pedestrian protection. Start of the 1970s: Finland and Sweden introduce driving with lights on during the day. The first international conferences for sharing research findings regarding the development, construction and trialling of experimental safety vehicles (ESVs) take place. Daimler-Benz AG files a patent for the practicable driver airbag. 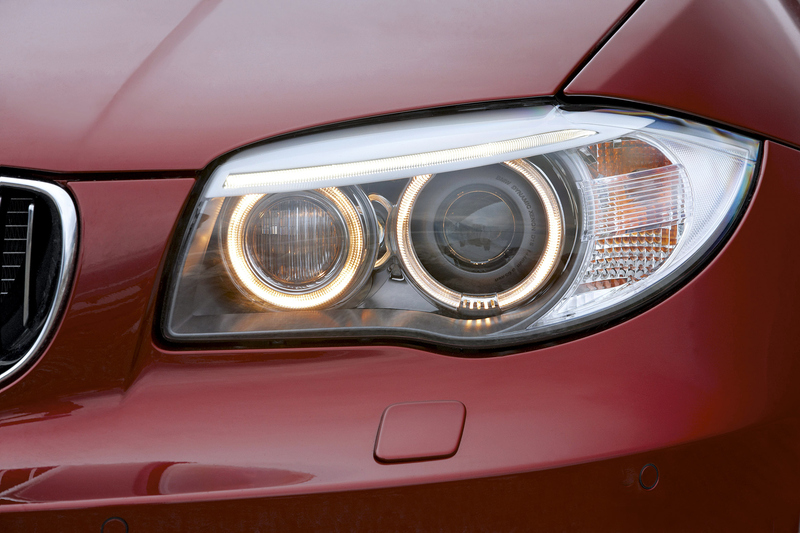 The first headlights with a twin filament halogen bulb (H4) are fitted on vehicles for dipped and full beam. Twin filament halogen bulb (H4) for dipped and full beam. Introduction of a 100 km/h speed limit for cars on rural roads in Germany. Trucks over a permissible gross weight of 3.5 t with trailer as well as trucks over 7.5 t without trailer may not drive faster than 60 km/h on rural roads. Introduction of the 0.8 per mille drink-drive limit for the blood alcohol concentration value. Introduction of the 0.8 per mille drink-drive limit. 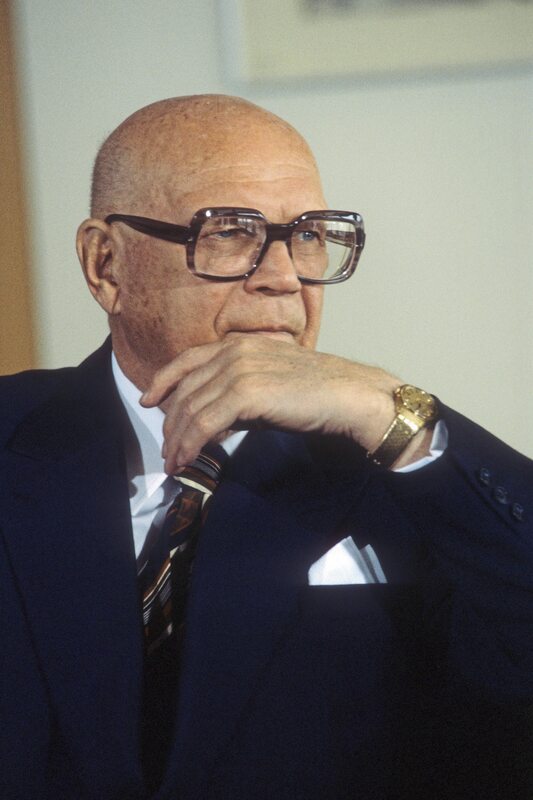 In his New Year’s address, Finland’s president Urho Kekkonen appeals for improved road safety. At Hannover Medical School, the BASt launches the “Accident Scene Studies” project (the predecessor of the “German In-Depth Accident Study” [GIDAS]). The government’s first road safety program (VSP) is submitted in November to the German Bundestag. Introduction of the points system (Section 4 of the German Road Traffic Act (StVG), which is still in use today, as a replacement for the guidelines for the treatment of repeat offenders. A general 90 km/h speed limit applies on rural roads in France. 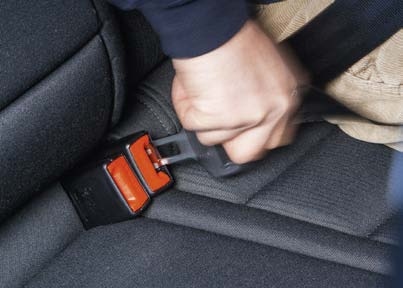 From 1st January, three-point safety belts are mandatory for front seats in newly licensed cars in the Federal Republic of Germany. The seat belt obligation for back seats in all new cars comes into force on 1st May 1979. A warning fine is issued for not wearing the seat belt from 1st August 1984. From 1974, three-point safety belts are mandatory for front seats. The world´s first city toll charge in Singapore. In Japan, Konuske Matsushita, the founder of Panasonic, unveils an e-bike. From 1st January, it is mandatory for motorcyclists in the Federal Republic of Germany to wear a helmet, from mid- 1978 for moped riders too. In the event of infringement, this breach can be punished with a fine from 1st August 1980. From 1st October 1985, scooter riders also have to wear a helmet. 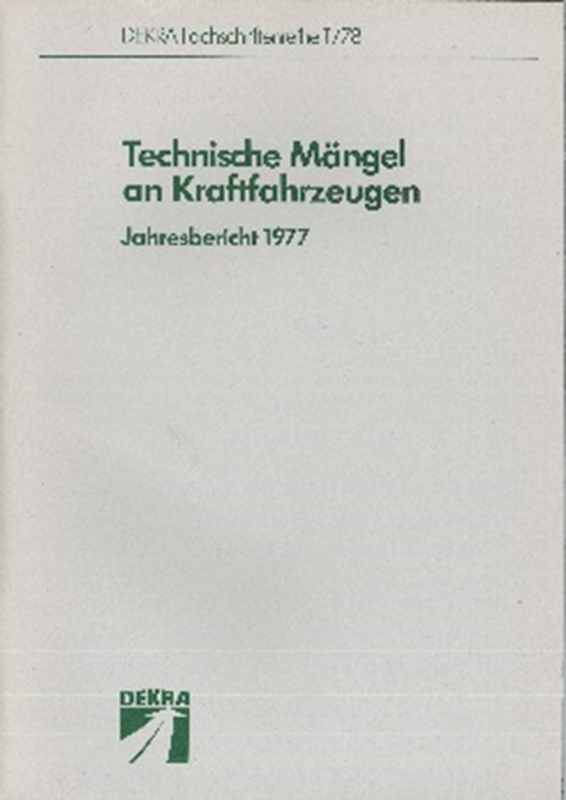 DEKRA publishes its first journal, “Technische Mängel an Kraftfahrzeugen” [Technical Defects on Motor Vehicles]. The first journal of Technical Defects on Motor Vehicles. Vehicles from Mercedes-Benz are equipped with ABS as standard from October. 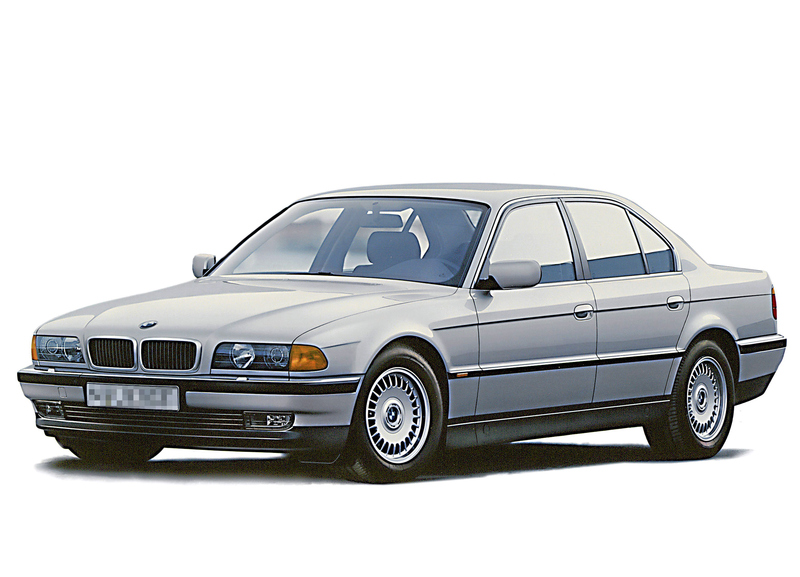 The first model with ABS is the S-Class (W 116). 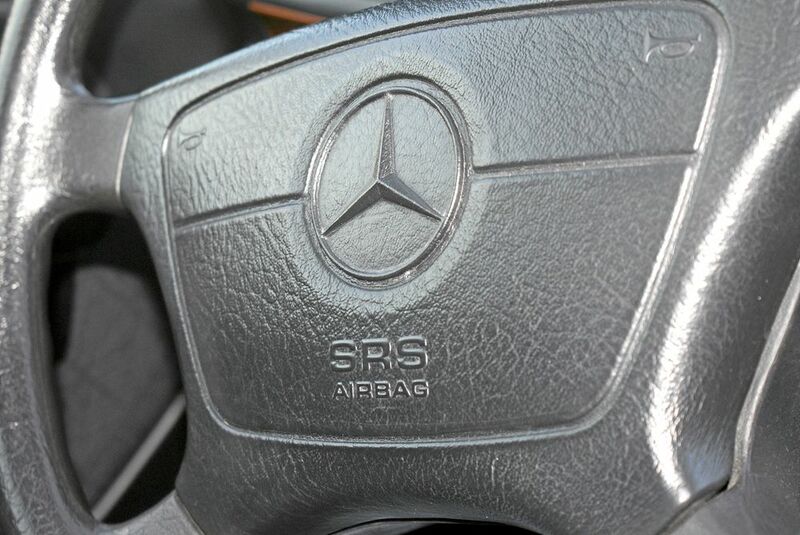 Vehicles from Mercedes-Benz are equipped with ABS since 1978. The “Children and Traffic” program initiated by the German Road Safety Council (DVR) is launched. A scientific working party of the Universities of Aachen, Berlin, Stuttgart and Darmstadt launches the UNI-CAR research project. The vehicle already had a ‘soft face’, which covered the entire front section, and kept the loads of an impacted pedestrian under tolerable biomechanical limits up to a speed of 45 km/h. 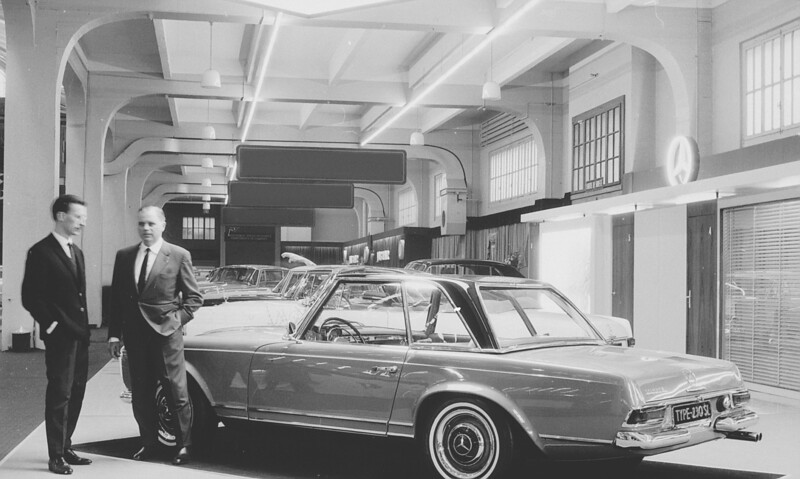 First electronic ABS (Mercedes-Benz S Class and the BMW 7 series). 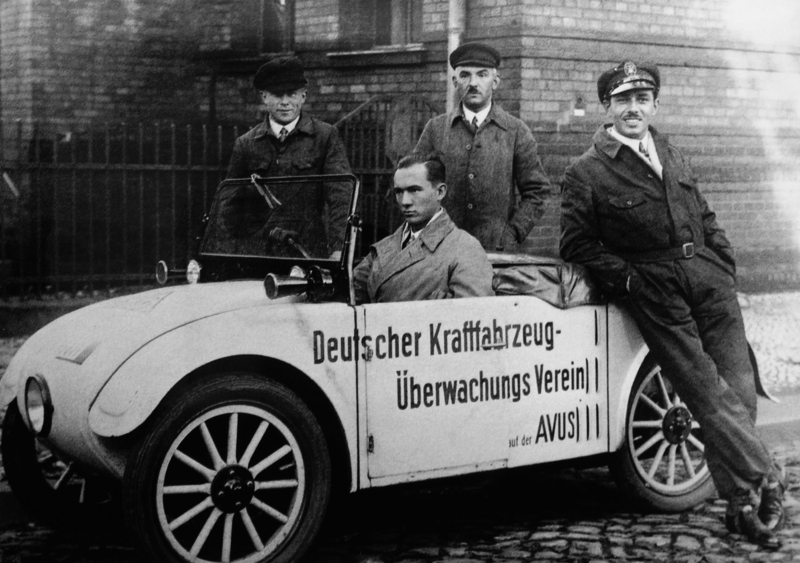 First German car fitted with an airbag (Mercedes-Benz S Class). 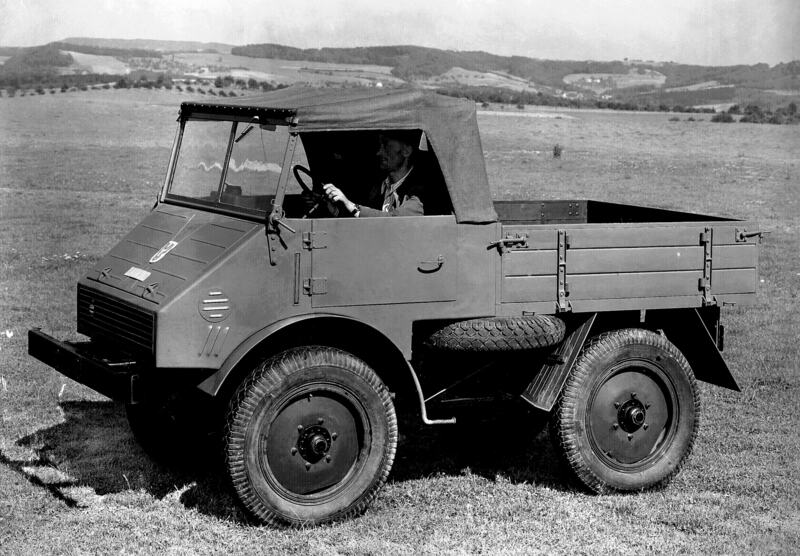 First German car fitted with an airbag. 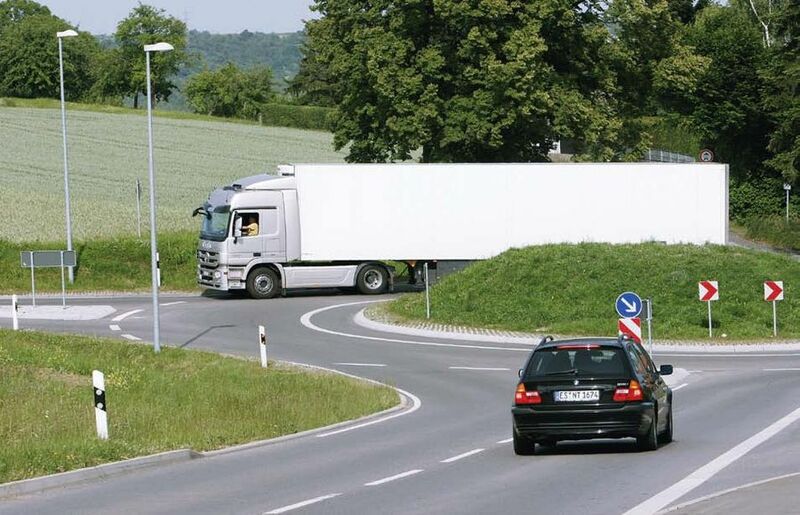 Introduction of traffic-calmed zones into the German Road Traffic Act. General Motors equips a number of its models destined for the US market with a black-and-white headup display, which allows drivers to see what speed they are driving at without having to take their eyes off the road. 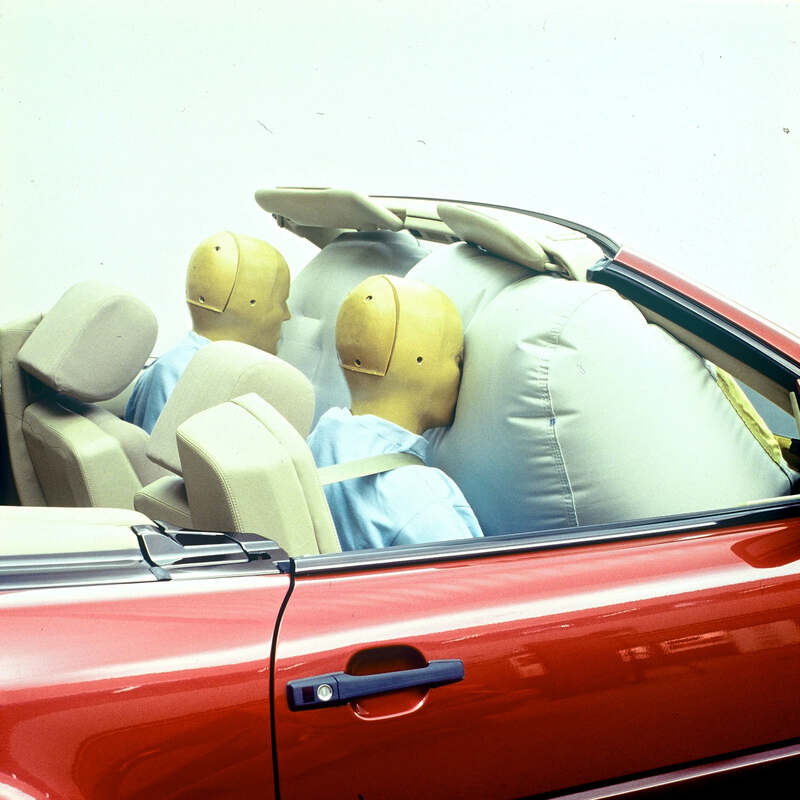 From July, Mercedes-Benz offers a vehicle with airbag as standard for the first time in the S-Class (W 126). Mercedes-Benz S-Class (W 126) with airbag. Combination of driver-airbag and passenger-airbag belt tensioners (Mercedes-Benz S Class). With his study of the “Gelhard-E-Bike”, Egon Gelhard lays the foundations for the pedelec principle. Introduction of the 0.8 blood alcohol limit in France. 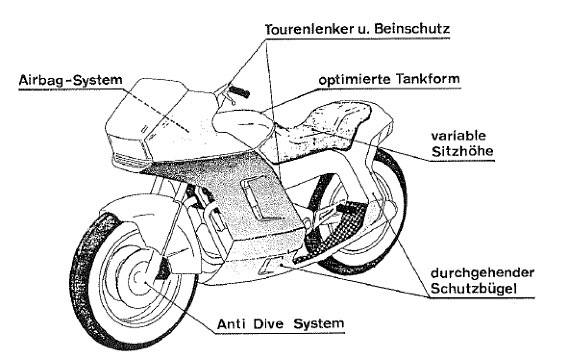 Motorcycle with its in-line 4-cylinder engine mounted lengthways, fuel injection and integrated leg guards. Testing of 30 km/h speed limit zones in pilot projects in Germany. 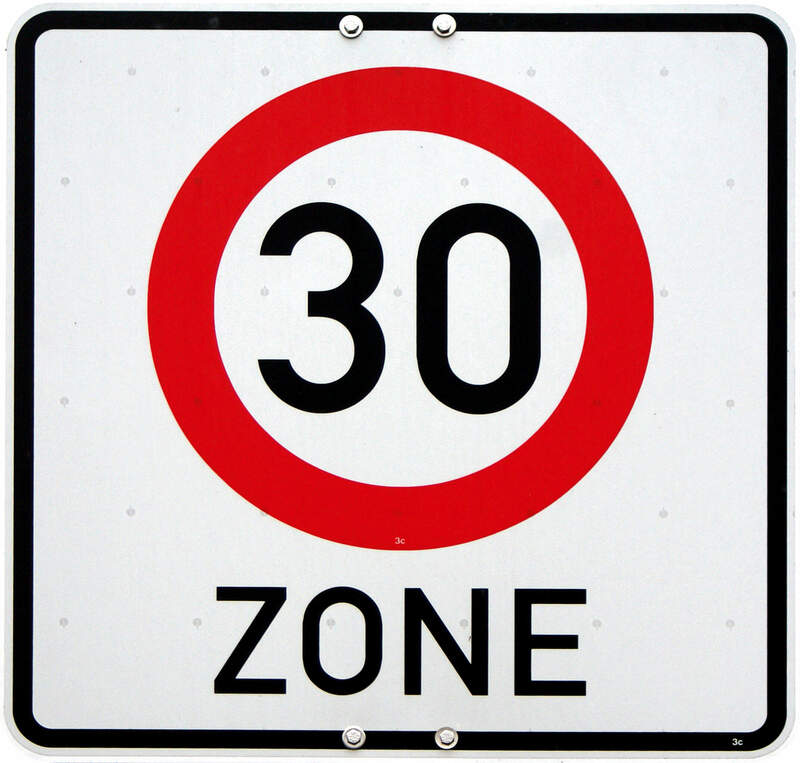 Testing of 30 km/h speed limit zones in pilot projects. Minister of Transport Werner Dollinger presents the government’s second road safety program. 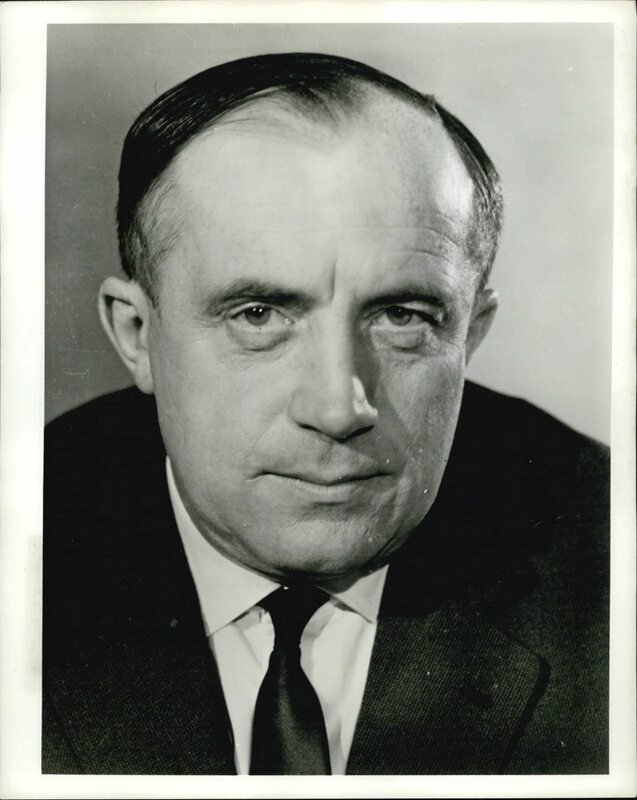 Past Minister of Transport Werner Dollinger. August 1984: Introduction of fines for not complying with the seat belt regulation in Germany. Fines for not complying with the seat belt regulation. 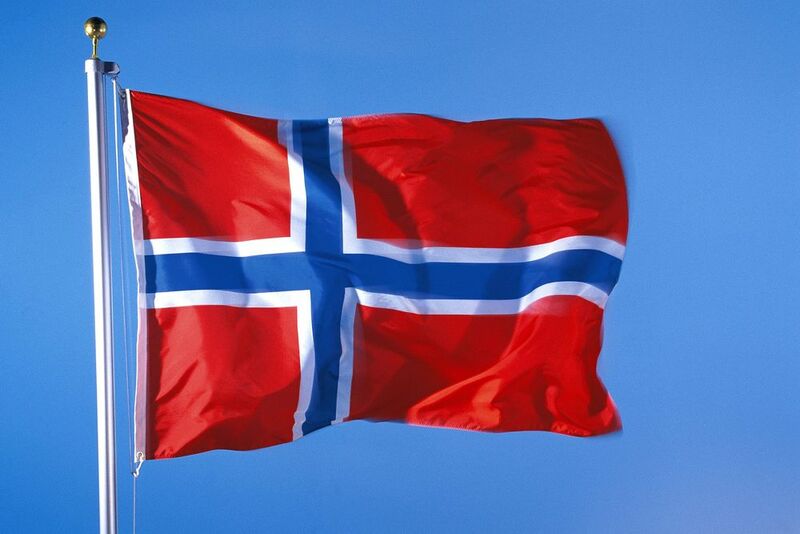 Bergen (Norway) is the first city to introduce a charge to drive into the city centre. Bergen introduces a charge to drive into the city centre. The “driving licence on probation” is introduced in Germany. The possibilities of autonomous driving are researched for the first time as part of the European EUREKA research project PROMETHEUS (PROgraMme for European Traffic with Highest Efficiency and Unprecedented Safety). 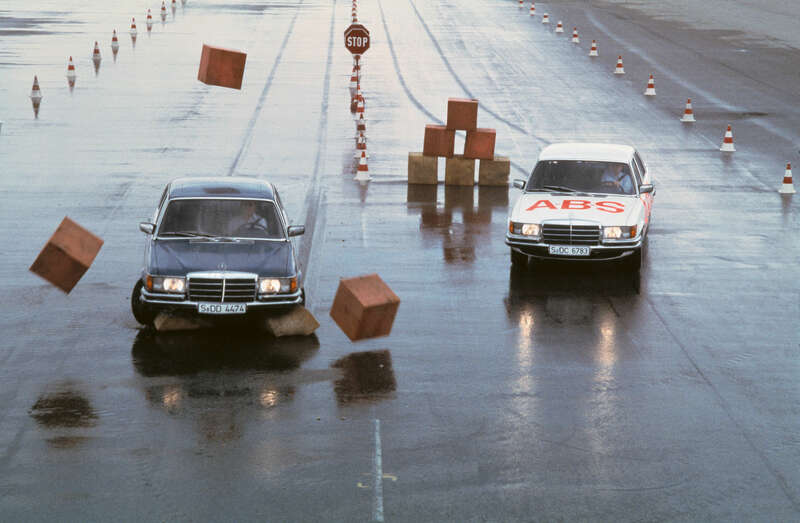 First acceleration skid control system (ASR) (Mercedes-Benz S Class). First acceleration skid control system. After several more or less unsuccessful attempts in various European cities, the car-sharing model has its première in Zurich. 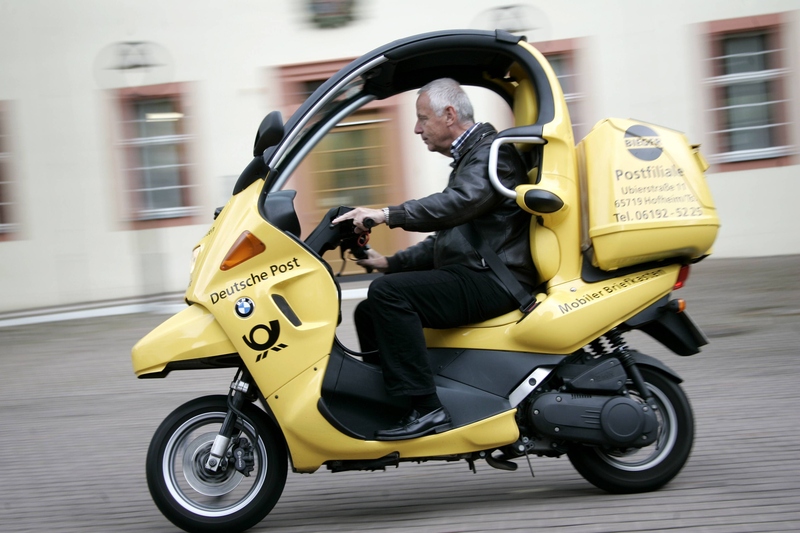 Since then this kind of car use has been introduced into many cities, not just in Europe. The car-sharing model has its première in Zurich. 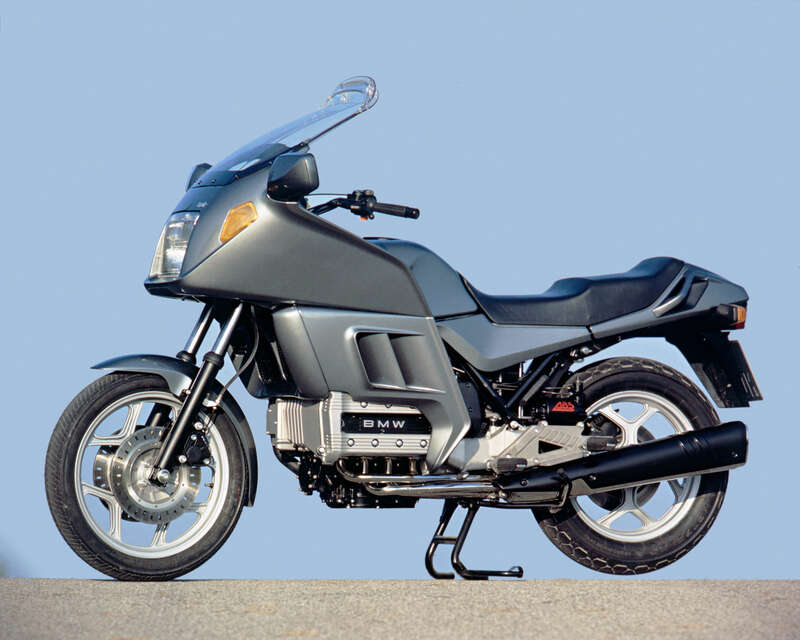 BMW presents the first series motorcycle with ABS with the K100. 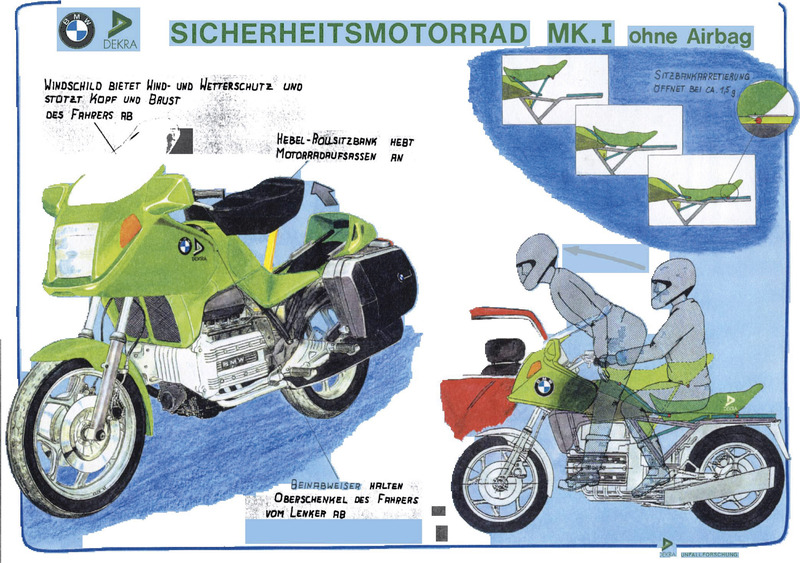 First BMW motorcycle K100 with ABS. The International Traffic Safety Data and Analysis Group (IRTAD) is founded. A 90 km/h speed limit is introduced on rural roads in Italy. “Vision Zero” is applied for the first time in Sweden in the field of road traffic. Basic philosophy: People make mistakes, therefore the traffic system must be designed so that it allows for mistakes without endangering the lives of road users. Since 1990 the roundabout has experienced a renaissance as a traffic regulating measure for greater safety on German rural roads. 50 percent of all roundabouts worldwide are located in France. Roundabouts as a traffic regulating measure for greater safety in rural roads. 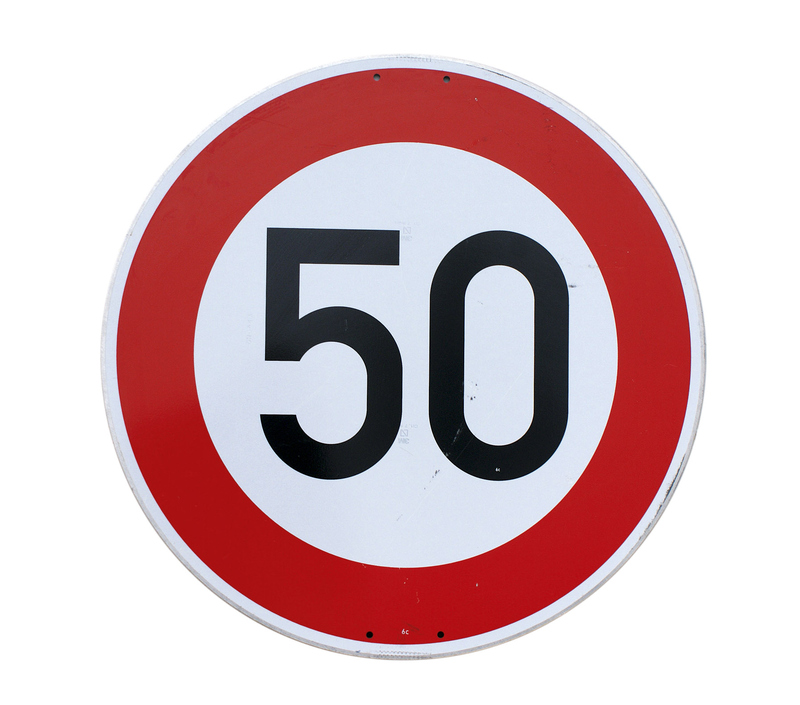 Introduction of a 50 km/h speed limit in built-up areas and 30 km/h speed zones in France. 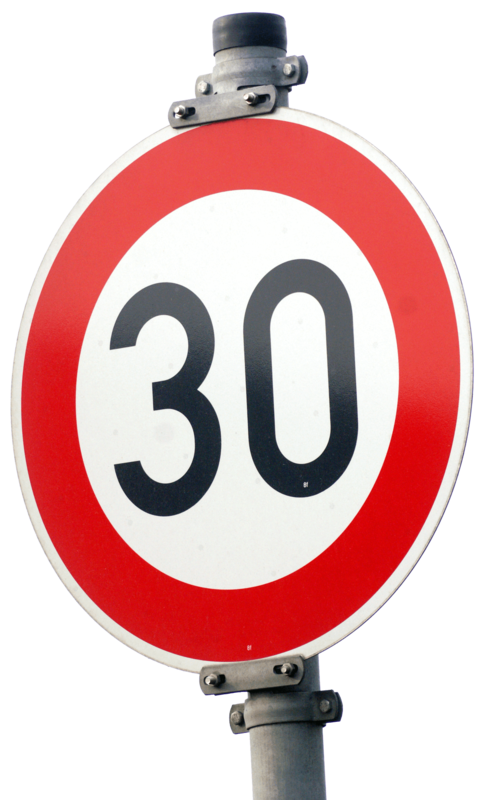 30 km/h speed zones and 50 km/h speed limit in built-up areas in France. In a BMW 7 series car gas discharge lamps (Bosch) are offered as xenon lights in a car for the first time, initially only as dipped headlights. 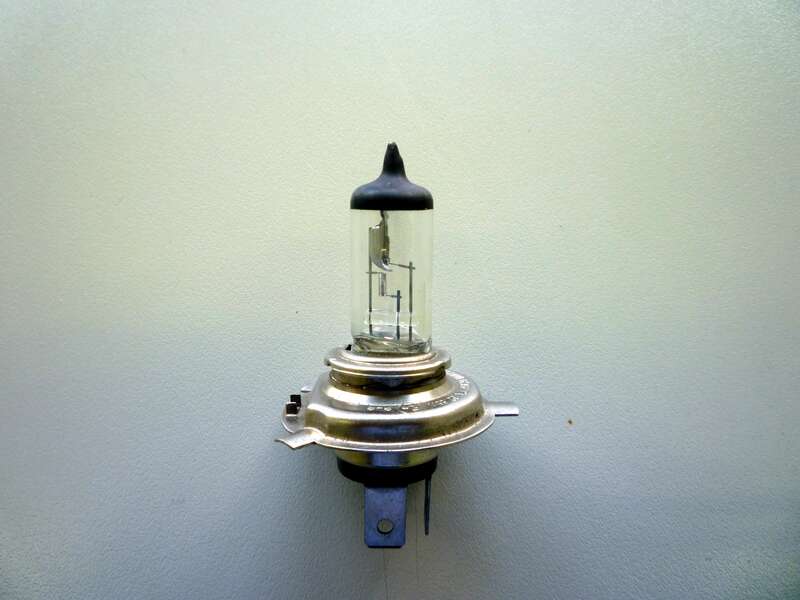 Gas discharge lamps are offered as xenon lights in a car for the first time. Introduction of the vehicle inspection in France. New vehicles have to be presented for the first time after four years, then every two years afterwards. Introduction of vehicle inspection in France. A navigation system is installed as standard for the first time (BMW 7 series). A navigation system is installed as standard for the first time. The blood alcohol limit is decreased in France to 0.5 g/l. “Vision Zero” is applied for the first time to road traffic in Sweden (target: zero traffic fatalities and zero serious injuries). Launch of the world’s first public bicycle hire system in Copenhagen. Launch of the first public bicycle hire system in Copenhagen. Robert Bosch GmbH and Mercedes-Benz introduce another brake-based driving dynamics assistant system with the electronic stability programme, ESP. The first vehicle equipped with this is the S-Class Coupé CL (C 140) from Mercedes-Benz. 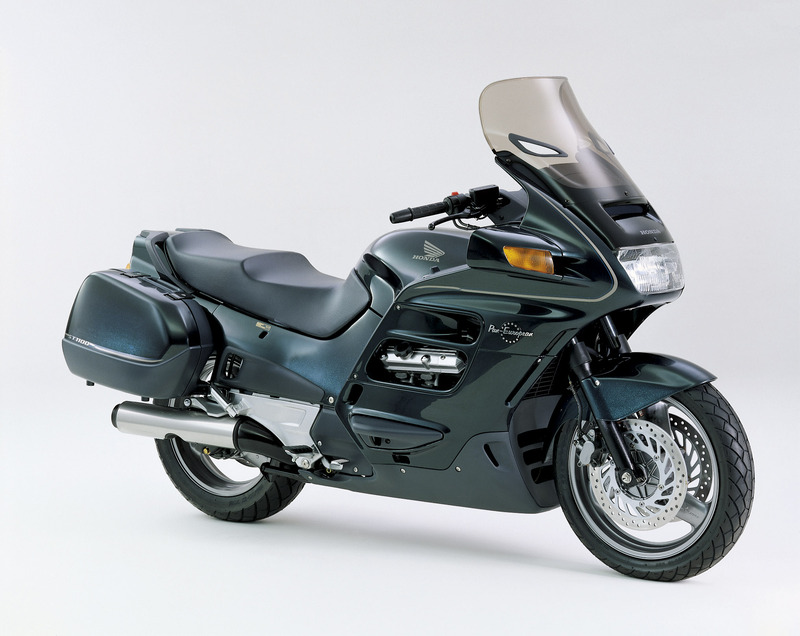 Honda ST 1100: First motorcycle with a combined braking system in conjunction with ABV and traction control. Euro NCAP publishes first crash test results. 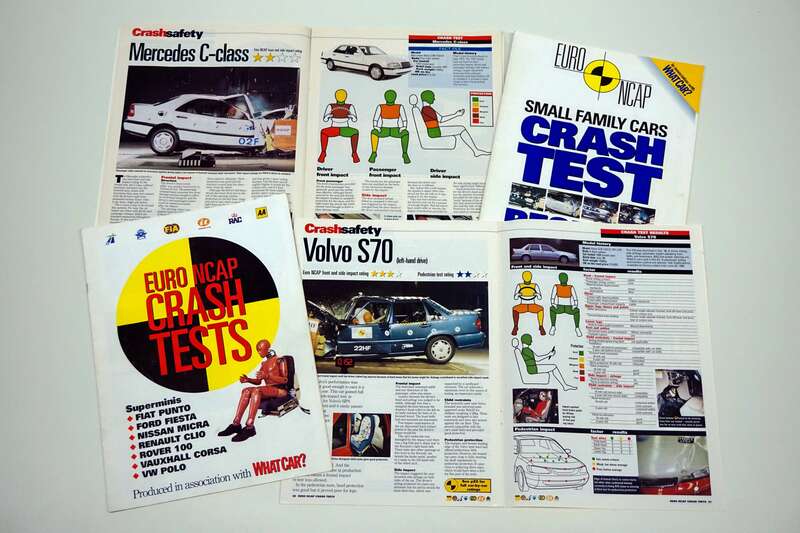 Cover of the Euro Ncap Crash Tests. Breakthrough for the ESP with the “elk test” with the A Class. The first sign with a “Black Spot”, which stands for particularly dangerous roads, is placed on Rural Road 2 near Blonie in Poland on 7th September. 20 more signs follow in the same year. Introduction of the 0.5 per mill limit (without driving ban) in Germany. As of 1st April 2001 there will be driving bans and people will lose their driving licence if they have a blood alcohol level of more than 0.5 per mill. In Paris, the new driverless Métro line 14 opens. 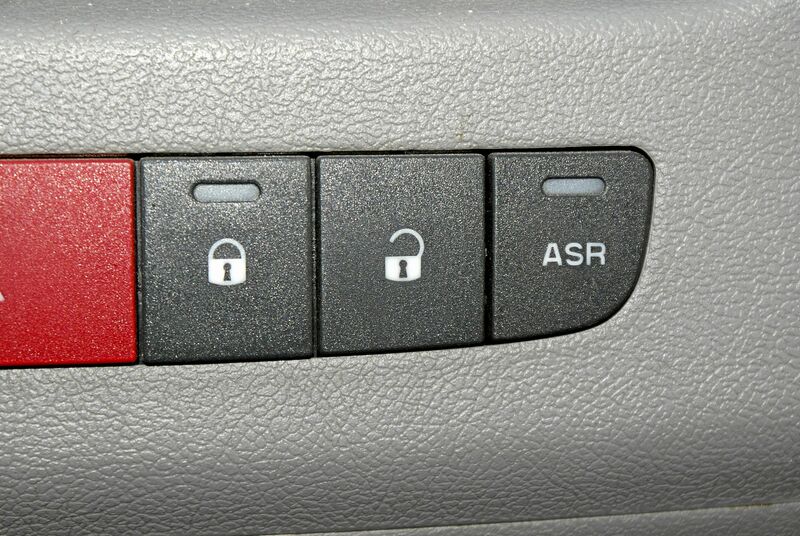 First German car with proximity control (SRT) (Mercedes-Benz S Class). The EU Regulation on the right to drive enters into force. On October 1, it becomes mandatory for all newly registered coaches to be fitted with safety belts. 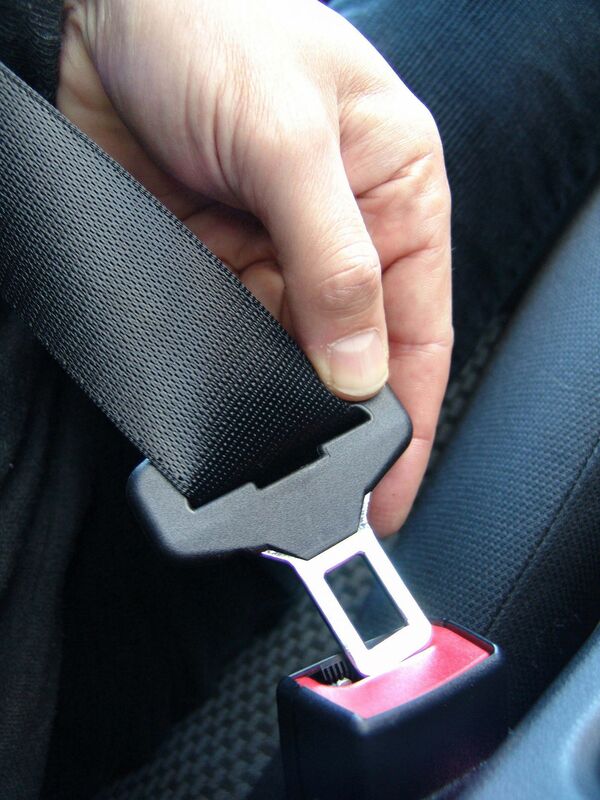 Where safety belts are prescribed, it is also mandatory to wear them. 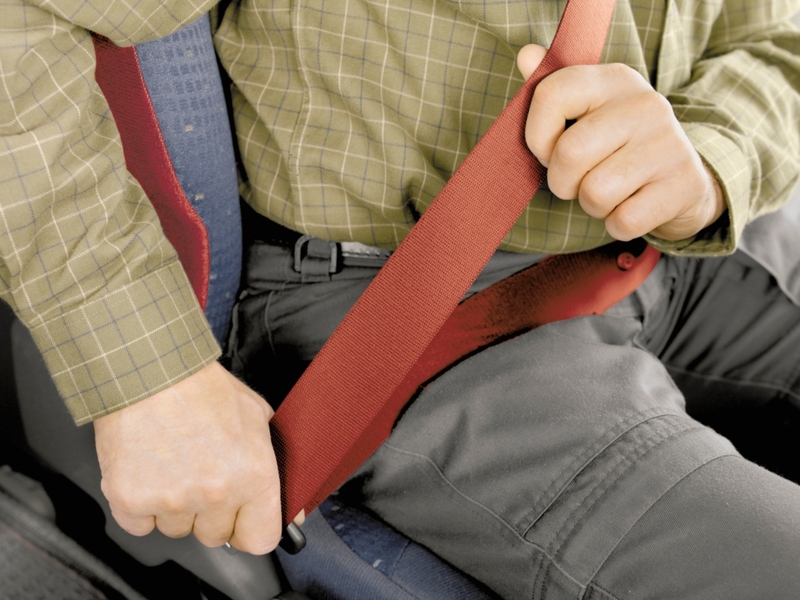 The wearing of safety belts in coaches and long-distance buses becomes mandatory at EU level in May 2006. BMW launches the C1, the first and so far only two-wheeler in the world that protects the rider in an accident by means of a surrounding structure (aluminum space-frame design) and safety belt. The C1 can, therefore, also be ridden without a helmet. Two-wheeler C1 with aluminum space-frame-design. Since 2001, initially in the Mercedes CL, xenon high beam in the so-called bi-xenon headlamps. 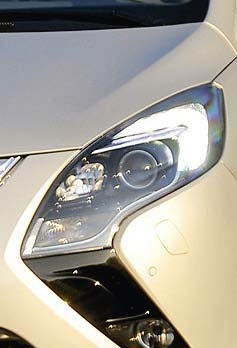 The same bulb is used for the dipped beam and high beam light. A shutter covering the beam path for the dipped beam is folded away and therefore the beam path is ‘switched’ to a high beam. The first color head-up display is installed in the Chevrolet Corvette. From 1st February mobile phones can only be used with a hands-free set in Germany. First series-production model with lane guard system (Nissan Cima). The White Paper “European Transport Policy for 2010: Time to Decide” is published. 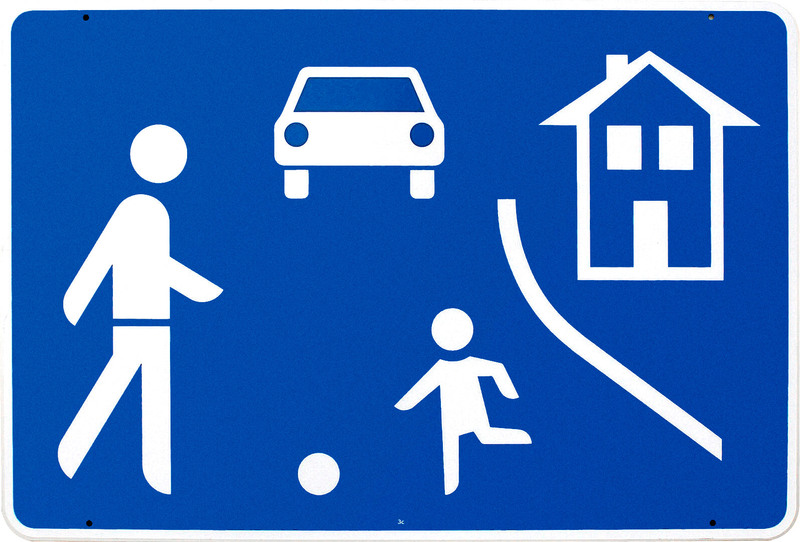 A road safety program is developed in Austria. Mercedes introduces the preventative occupant safety system PRE-SAFE in the S-Class (W220). The ROSEBUD road safety project funded by the EU Commission is launched. A range of methods for assessing the economic impact of road safety measures is compiled and refined. BMW becomes the first European manufacturer to introduce the head-up display, installing it in the 5 and 6 Series. Introduction of the city congestion charge in London. Use of radar speed checks in France. Approval of the “Euskirchen” system. 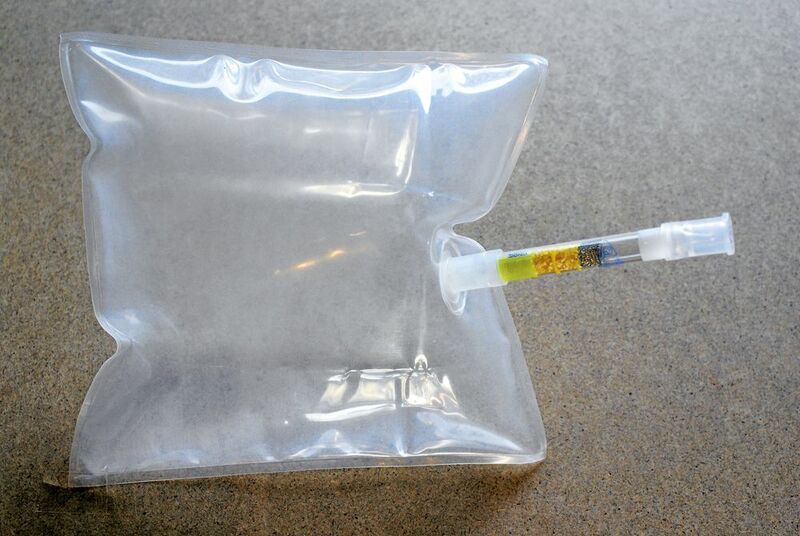 It offers impacting motorcyclists better protection. Building on this, DEKRA developed the “Euskirchen Plus” system on behalf of BASt. It offers even better impact protection, even for occupants of cars travelling at greater speeds. On November 17, the European Parliament and Council of the European Union enact Directive 2003/102/ EC for the protection of pedestrians and other vulnerable road users. This stipulates that the front ends of cars must undergo a series of component crash tests to verify that certain biomechanical limits are not exceeded. The impactors used during testing represent the parts of a pedestrian’s body that are most at risk of injury (head, pelvis and leg). Since October 2005, newly certified vehicle types are required to undergo testing in this way. The “Towards Zero Deaths” road safety program is launched in the US state of Minnesota. 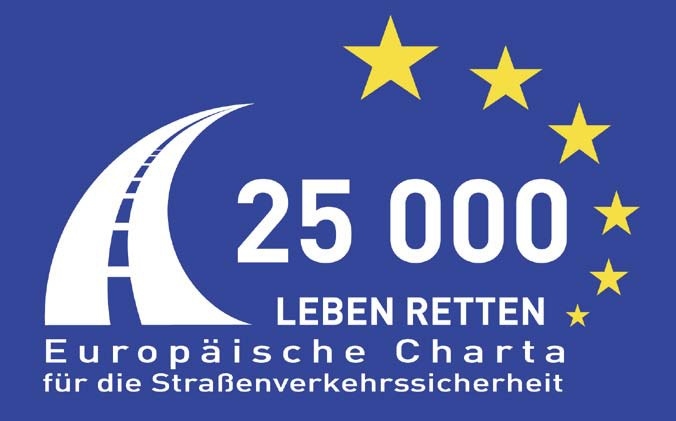 The EU Commission launches the European Road Safety Charter. The declared objective is to halve the number of road deaths by 2010 compared to 2001. The EU Commission launches the European Road Safety Charter. 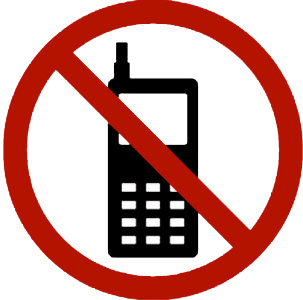 From 1st April infringements of the mobile phone ban behind the wheel are punishable by a fine of EUR 40 and a penalty point in Flensburg. Entry into force of a European Directive on the construction of frontal structures of vehicles for the protection of pedestrians and other vulnerable road users (2003/102/EC). The Directive establishes limit values for the EU type approval of new types of vehicles not exceeding 2.5 tonnes which should not be exceeded in a collision between a vehicle and a pedestrian. The Finnish road safety program “Road Safety 2006-2010” is launched. The DARPA Urban Challenge – an international competition for unmanned vehicles in an urban environment – takes place in the USA. Germany´s first fully automatic, driverless underground railway travels through Nuremberg. DEKRA publishes its first Road Safety Report, focusing on cars. Further reports are published in the following years focusing on trucks, motorcycles, pedestrians and cyclists, humans and technology, rural roads, urban mobility, the future based on experience and passenger transportation. Daytime running lights become mandatory in the EU for all new cars and trucks. Daytime running lights become mandatory for all new cars and trucks. All new vehicle models launched on the market in Europe must be fitted with ESP as standard since 1st November. Mandatory ESP then applies to all new cars from November 2014. Mandatory ESP applies to all new cars. In the “Road Safety Guidelines 2011–2020”, the European Commission formulates its goal to halve the number of traffic fatalities between 2010 and 2020. Citroën launches the first carsharing programme that exclusively uses electric vehicles in Germany with "Multicity" in Berlin. 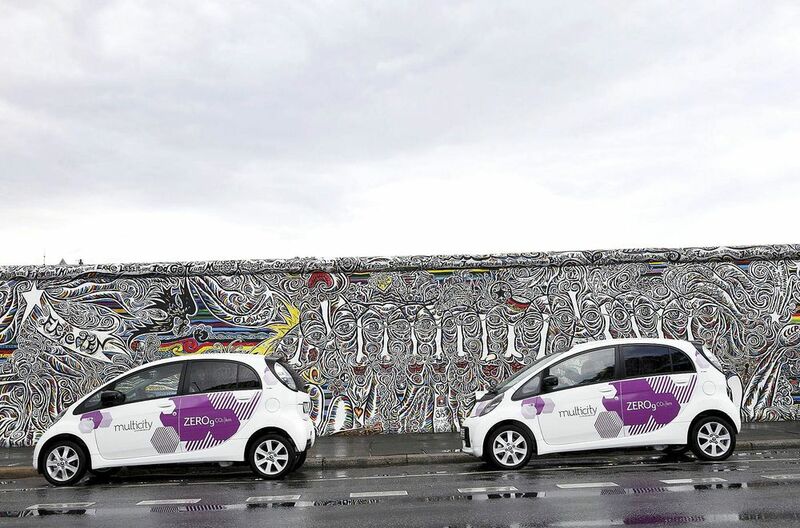 Citroën launches the first carsharing programme with "Multicity" in Berlin. The Master’s course “Urban Mobility – Traffic Engineering” is launched for the first time at a German university in Nuremberg in the summer semester. The pedestrian airbag from Volvo wins the "Future" special award at the AutoScout24 portal´s 11st Internet Auto Awards. 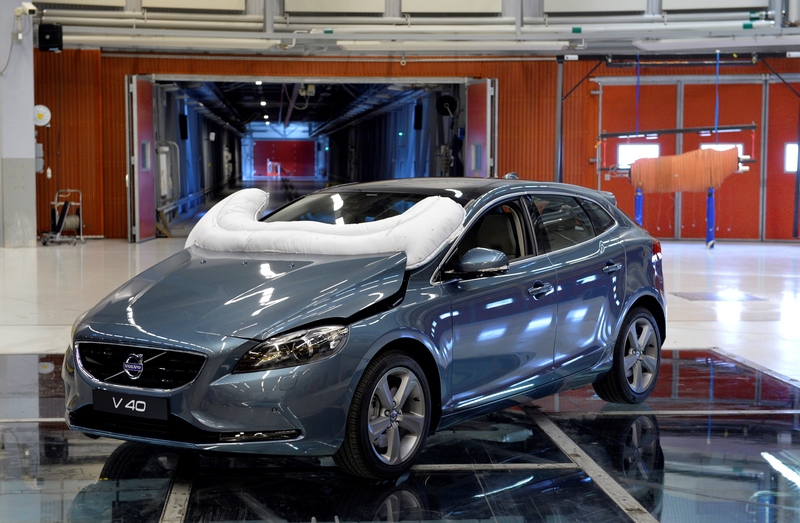 The pedestrian airbag from Volvo wins the "Future" special award. November 2014: Mandatory ESP applies to all new cars. From November 1, all new road vehicles – including everything from cars to heavy buses and trucks and their trailers – in the EU must be equipped with electronic vehicle stability control (EVSC), generally known as ESP or ESC. This requirement has already been in place for newly type-approved vehicles since November 1, 2011. This equipment requirement is based on EU regulation no. 661/2009. 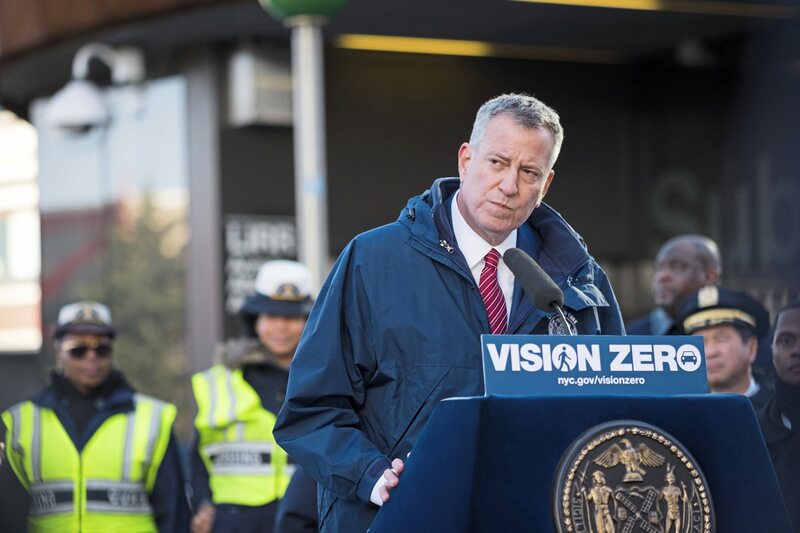 The “Vision Zero Action Plan” is launched in New York City by mayor Bill de Blasio. 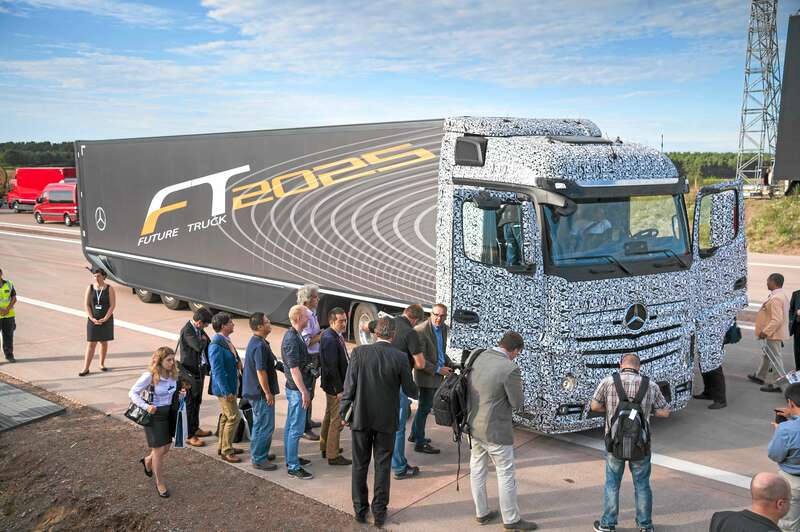 Daimler AG presents the “Mercedes-Benz Future Truck 2025” on the new stretch of the 14 motorway near Magdeburg in July. With the help of the intelligent “Highway Pilot” system, the truck can drive completely autonomously at motorway speeds up to 85 km/h. 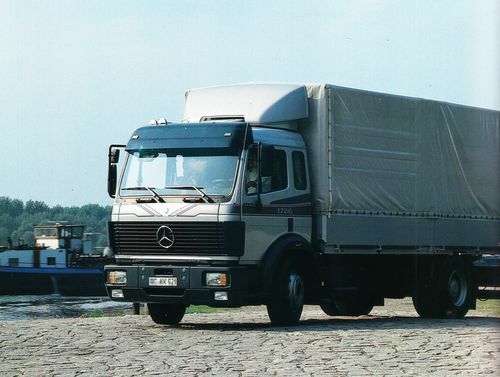 Daimler AG presents the “Mercedes-Benz Future Truck 2025”. ESP is mandatory for all new cars in the EU since 1st November. From July 1, technical testing organizations in Germany are required to use a main inspection adapter during general inspections on cars. This is used for inspecting electronic vehicle components and is designed for the increasingly complex technology installed in cars. In September, a section of the A9 highway in Germany becomes a designated “test track” for automated and networked driving. 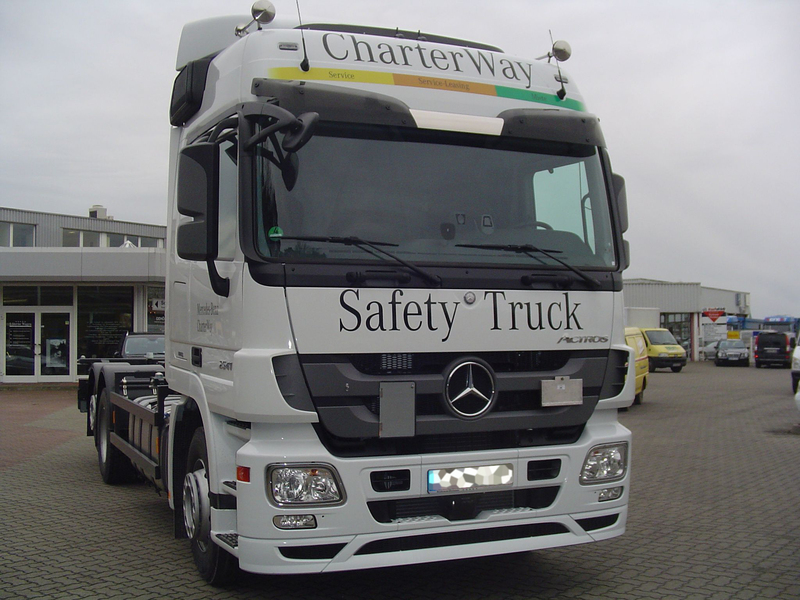 From November 1, in the EU, newly registered heavy-duty trucks (more than 3.5 t gross weight rating) and buses with more than eight seats (not including the driver’s seat) must be equipped with an advanced emergency braking system (AEBS) and a lane departure warning system (LDWS). This requirement has already been in place for newly type-approved vehicles since November 1, 2013 and is also based on EU regulation no. 661/2009.